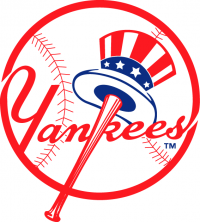 YES Sat 4/20 60 Day Injury List Out (Elbow) ‑ Gregorius is on the 60-day injured list while recovering from Tommy John surgery on his right elbow and is expected to be out until after the All-Star break. Didi Gregorius daily MLB projections and fantasy value for next 7-10 days. Didi Gregorius daily fantasy baseball projections for DFS sites such as DraftKings and FanDuel. Didi Gregorius current season averages per batting order spot along with 12 team mixed fantasy value ($). Only includes games started. Games started percentages for RHP vs LHP are based on last 30 days. Didi Gregorius projected to 150 Games vs RHP and LHP with 12 team mixed fantasy value. This helps identify a player's platoon value for fantasy baseball based on pitcher handedness. These projections by Steamer are a MUCH better indicator of a hitter's platoon splits than in-season stats since it involves multiple years of data and has been properly regressed to league averages. Since games are neutralized across players, values for everyday players may look smaller than for preseason/season to date/rest of season where they benefit from playing time advantages vs other players. In general, left-handed hitters have larger platoon splits. Didi Gregorius stats and 5x5 fantasy value from 2010-2018. Didi Gregorius 2019 fantasy value by month for 5x5 leagues.